Supercity Scaffolding’s trained and experienced team will facilitate Shrink Wrapping to protect your construction project from weather damage and delays at your request. 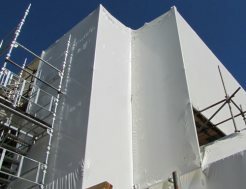 When carrying out remedial work on commercial buildings or on homes, Shrink Wrapping also enables your team to stay on the job when adverse weather conditions might make work otherwise impossible. 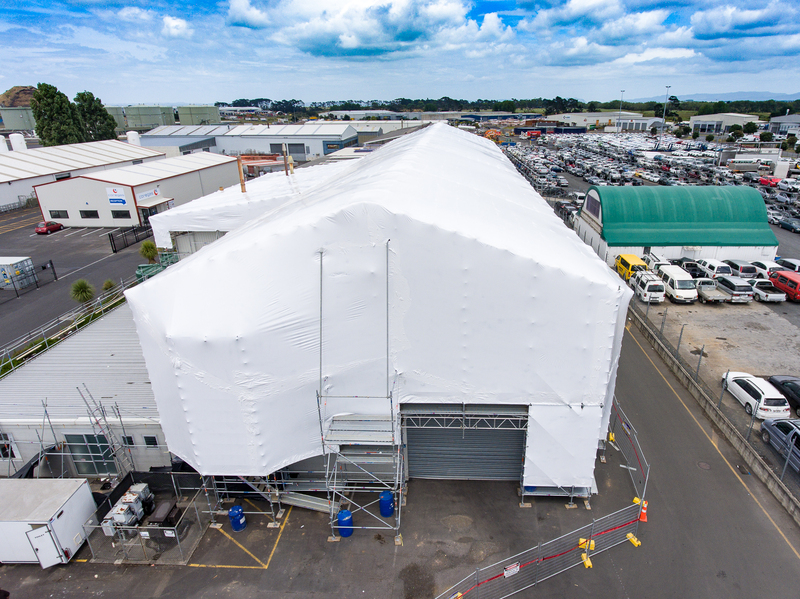 We’re aligned with one of the premier Shrink Wrapping companies in New Zealand. The combined experience and skills of both our teams means you can be assured of a quality product. Further, all the Shrink Wrap material used is 100% recyclable!